Truck Accident Personal Injury & Wrongful Death Accident Lawyers in Rolling Hils, California – We are Trusted Legal Experts! Need Experienced Attorneys To Manage Your Rolling Hills Personal Injury Or Wrongful Death Claim? Rolling Hills and Palos Verdes truck accidents can cause serious injuries, sometimes even deaths resulting in wrongful death truck accident claims. Carrying a vast experience of over 40 years in handling personal injury or wrongful death truck, car, motorcycle and bicycle accident claims, we are a team of very experienced and aggressive attorneys in Rolling Hills, Palos Verdes, California. Our injury lawyers approach our legal assignments with commitment and resolution and go out of the way to ensure that our clients receive clear and useful advice, assistance with medical care (usually with no payment expected until their claim is resolved) and maximum compensation and justice. Apart from this, we are caring and compassionate towards our clients and try very hard to simplify all the required legal formalities for them. Track record of resolving our clients’ claims with a success rate of more than 95%. Obtained recovery of more than $100,000,000.00 - so far. Vehicle Repairs: If your vehicle calls for repairs after an accident, we help you with it. If it is a total loss, we can have it towed, stored and help you with that, too. Medical Care: Medical care presses for timely attention after an accident. We find doctors and other medical experts for our clients to handle any injury and manage the recovery process, usually without expecting any payment until your case is resolved. Besides, we also help our clients obtain needed MRIs, CTs, and other such kinds of procedures, and medications. without paying a penny until our clients resolve their cases. Cash Advances/Emergency Loans: Coping with an accident with large hospital and other medical bills can put anyone in a financially challenging state and loss of income can further worsen it. Aware of these facts, our injury lawyers and legal team often can help our clients in obtaining a needed loan or cash advance. Reach out to us for a FREE wrongful death or truck accident consultation and case evaluation in Rolling Hills, Palos Verdes, Los Angeles or anywhere in CA by simply clicking here. Further, take a look at our lawyer profiles to learn more about our trusted personal injury lawyers. 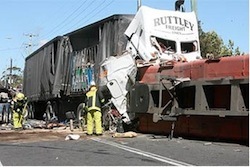 If you are eager to learn more about the complex process of truck accident injury claims, go to our Truck Injury Accident Web Site ; and for specific advice about your own truck, car, motorcycle or bicycle accident case simply call us at 1.866 INJURY 2 or 1.818-222-3400 (after hours please press “1”). Again, our initial consultation is absolutely FREE and we work on contingency fees which means our fee comes out of the recovery, paid by the responsible parties’ insurance company, and not your own pocket! Located on the Palos Verdes Peninsula, in Los Angeles County, California, Rolling Hills is one of the most affluent cities in the country. Rolling Hills has a small population of just 1,860, according to the 2010 US Census. The neighboring regions of Rolling Hills include Rolling Hills Estates in the north while Rancho Palos Verdes sprawls on all the other sides, besides the empty Portuguese Bend landslide area to the south. 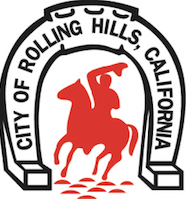 Incorporated in 1957, Rolling Hills runs under a council-manager form of government. Rolling Hills represents as the 26th Senate District and the 66th Assembly District in the California State Legislature. Despite its small size, many famous people have resided in or near Rolling Hills. Tracy Austin, a former US Open winner on two occasions, has resided in Rolling Hills, California. Apart from this, Colin Baxter, a professional football player, was born in Rolling Hills, California. Also, Mike Mentzer, a former Mr. Olympia heavyweight champion, died in Rolling Hills, California. Pete Carroll, who has served the Seattle Seahawks National Football Team as its coach also has resided in Rolling Hills, CA. For quick legal counseling, fill-out the details in our contact us form and fill us in about your Rolling Hills, CA personal injury accident claim. Send us an email to info@WalchLaw.com. REMEMBER – With our personal injury & wrongful death accident law firm, our initial consultation and case evaluation is absolutely FREE; and there is NO Fee until You WIN! The sooner you call us, the sooner we can start to help you. If you were injured in an accident, we want to help you receive every dollar to which you are entitled!